This week's Creative Weekly is dedicated to the late Nipsey Hussle. R.I.P. 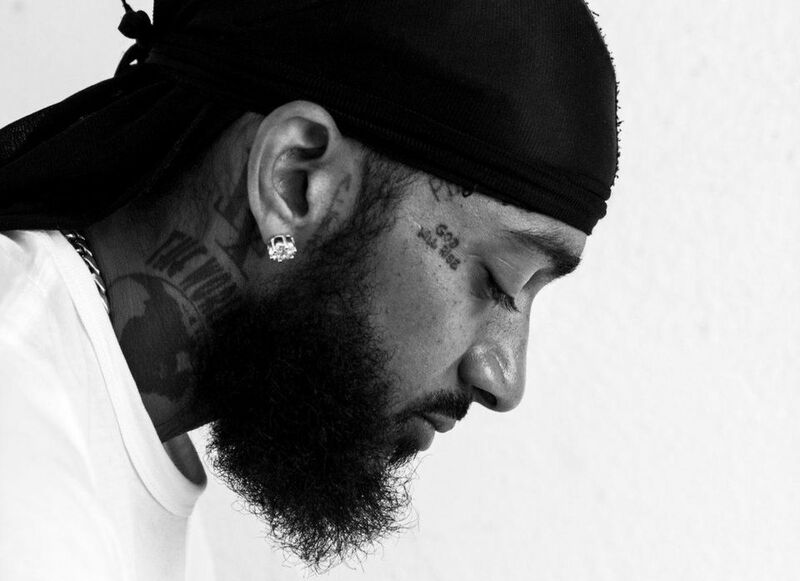 Since his untimely demise on Sunday March 31st, everything Nipsey has received an astronomical attention and boost. To use as a reference point - his 2013 mixtape "Crenshaw" is currently the most viewed post on Creative. According to Billboard, The Los Angeles rapper's music catalog garnered 101.5 million on demand streams (audio and video) on Sunday and Monday. A significant rise of 1,773% compared to his streaming sum on Friday and Saturday. Billboard reports his Top 5 most streamed songs as “Racks in the Middle,” featuring Roddy Rich and Hit-Boy (11.8 million); “Dedication,” featuring Kendrick Lamar (9.6 million); “Double Up,” featuring Belly and Dom Kennedy (8.5 million); “Last Time That I Checc’d,” featuring YG (7.1 million); and “Hussle & Motivate” (2.9 million). The latter four tracks are all found on Hussle’s Victory Lap album, which is aiming for a return to the top 10 on next week’s Billboard 200 chart. “Racks” is a recently released stand-alone single. Nipsey Hussle owns the masters to all his music so more streams means more money for his family. Keep doing the good work. The late Nipsey Hussle's memorial service will take place Thursday morning (April 11) at the Los Angeles Staples Center. The Hussle's chose the Staples because of it's massive 21,000 sit arena ... enough to accommodate thousands of expected mourners. Sources tell TMZ that a meeting was held on Wednesday (April 3) with Hussle's family, LAPD officials and the Staples Center management to help plan logistics and security for the event. It was initially reported that fans and well wishers would have to purchase tickets to attend the service but according to Nip's good friend and business partner Karen Civil "there will be no selling of tickets." An online petition was filed on Change.org to rename Crenshaw Blvd and Slauson Avenue in the Hyde Park district of L.A. to Nipsey Hussle Blvd. The intersection is the same location of The Marathon Clothing store, and the same place the rapper was gunned down. The Change.org petition, which was launched on Monday (April 1) has received over four hundred and fifty thousand signatures. Hussle, real name Ermias Asghedom was shot 6 times in front of his flagship Marathon clothing store in his native south Los Angeles on Sunday (March 31). After his shooting in the 3400 block on west Slauson Avenue, Hussle was transported to a nearby hospital where he was pronounced dead. He was 33. Eric Holder, who allegedly had a verbal altercation with Hussle just before his death, faces a sentence of life in prison. Holder pleaded not guilty to the charges and is being held on $5 million bail. According to reports, Adidas has signed Beyoncé to a “multilayered” deal. Bey will serve as creative partner for the brand, develop signature footwear and apparel as well as relaunch her Ivy Park brand, which was previously sold at Top Shop. Adidas recognises Beyoncé's role as a leader in the black community and plans on using her status to empower the next generation. “Beyoncé is an iconic creator but also a proven business leader, and together, we have the ability to inspire change and empower the next generation of creators,” said Eric Liedtke, a member of the executive board of Adidas AG. In more Yoncé news. The Grammy-Award-winning singer/performer/mother could be heading to Netflix in the coming days. On Sunday the streaming network teased a project on its platform titled "Homecoming," which is reportedly about Beyonce's epic #Beychella set at last year's Coachella Valley Music And Arts Festival. No further details is known but according to the cryptic post, the special premiers April 11. French Montana has something to worry about and it's a lawsuit. According to TMZ, a man named Eddie Lee Richardson aka Hotwire The Producer says French Montana stole a song he released the year before "Ain't Worried About Nothin" dropped. Hotwire claims he uploaded his track to soundClick in 2012 as an instrumental with a "unique and artistic array of digital sounds and rhythms." The suit points out that his version was tagged with a single repeating vocal "Hotwire," which he says was his own way of marking his work, so no one could steal it. Apparently French Montana or the producer who worked on Ain't Worried About Nothin stole Hotwire's beat and simply removed his producer tag. According to the lawsuit, French Montana's only input to the song was his voice and lyrics, everything else was created by someone else. "Ain't Worried About Nothin" dropped in April 2013, and Hotwire claims it's an exact duplicate of the music he created and produced. Hotwire is suing French for $5 million.